A tradition to launch sky lanterns originally comes from Thailand. 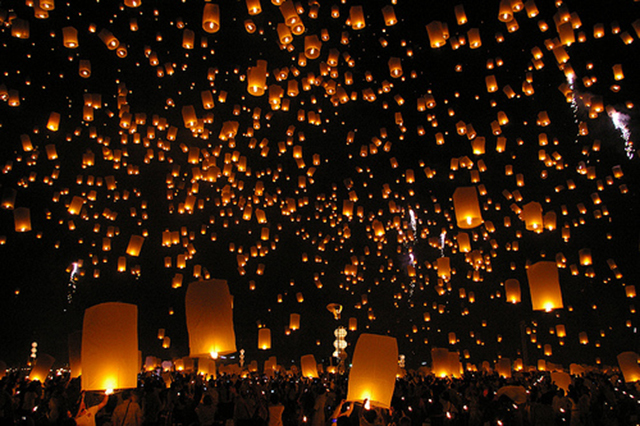 Yi Peng is an annual festival which is usually held on a full moon in November. Thousands of sky lanterns are launched into the air on this day! It's not a secret that many and many Russians go to Thailand for their vacations and that's no wonder that such a romantic festival tradition has come to Russia! 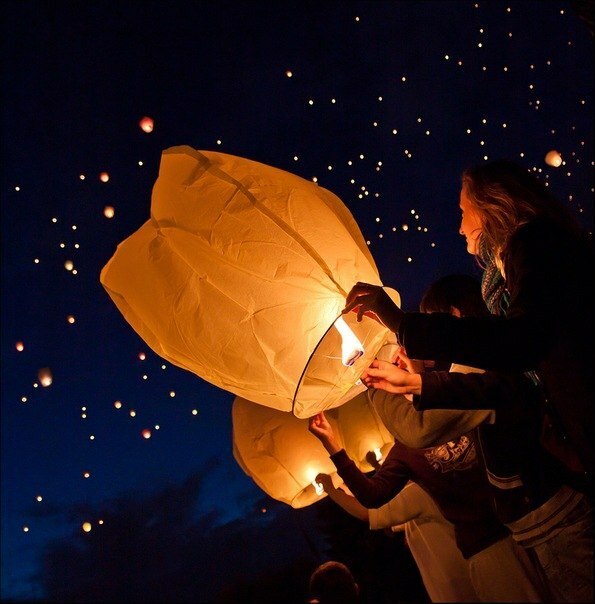 Hundreds of people will gather together 300 Years St. Petersburg's Anniversary Park to make a wish and to launch a lantern into the dark sky!